The question of how to build big arms is something that floods my inbox on a weekly basis, with novice trainees looking for every possible advantage to carve out a set of stare-worthy biceps and triceps they can proudly display. 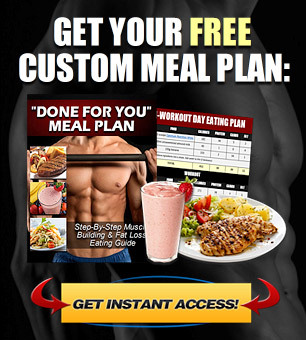 And although the Internet is literally over-flowing with endless articles and videos outlining the “secrets” to massive arm growth, in this post I’m going to explain why it is, in fact, a very simple goal to achieve. The majority of your arm growth will NOT come as a result of your direct bicep curl and tricep extension exercises, but will instead be achieved through your compound chest, shoulder and back training. In other words, if you really want to build bigger arms as efficiently as possible, your primary focus should revolve around increasing your strength on your big upper body compound lifts such as chest presses, shoulder presses, chin ups, pulldowns and rows. As you consistently add more and more weight to these movements and pack overall size onto your chest, shoulders and back, your biceps and triceps will automatically grow along with them. All of those heavy pressing exercises will add considerable mass to your triceps, while your compound pulling exercises will pack plenty of size onto your biceps. This is because all horizontal and vertical pressing exercises involve extension of the elbow (the primary function of the triceps) while all horizontal and vertical pulling exercises involve flexion of the elbow (the primary function of the biceps). 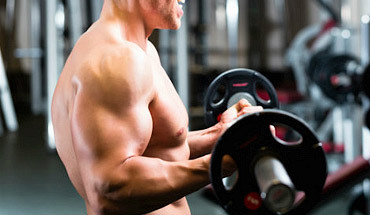 In fact, the reality is that even if you never did a single isolated bicep curl or tricep extension, you could still build an impressive set of arms fairly easily just through these basic lifts alone. And because the majority of arm growth will simply be a result of well-rounded chest, shoulder and back training, the question of “how to build big arms” shouldn’t even come into play if you’re still in the novice stages of lifting. I receive questions all the time from trainees looking for a solution to their supposed “lagging arms” when they haven’t even built up an initial size and strength foundation first. Keep in mind that the biceps and triceps are relatively small muscle groups, and building big arms is certainly not going to happen over night. It takes weeks, months and even years of consistent training to build up a truly impressive set of arms, and you need to be patient and take things one step at a time. If you only have a few months of training under your belt, then becoming specifically focused on your arm size isn’t even something worth worrying about since 80-90% of it will be achieved automatically through your chest, shoulder and back training. Make sure to keep a training logbook and aim for steady improvements from week to week on all of those basic horizontal/vertical presses and horizontal/vertical pulls, and over time, those poundages will add up considerably and result in significant bicep and tricep gains. If someone starts off by dumbbell pressing a set of 40’s and gradually works their way up to pressing 90’s, there’s simply no way that their triceps won’t grow significantly as a result. Or, if they begin performing pull ups using their body weight and then progress to hanging an extra 20, 40, 60 pounds or more from a weight belt, you can bet your last dollar that their biceps will grow steadily bigger each step along the way. 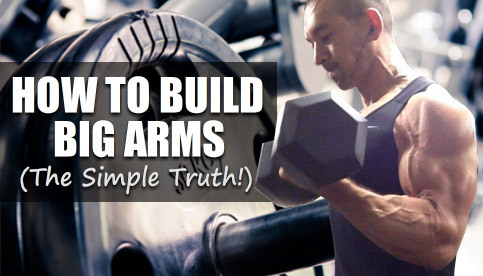 So again, the entire concept of “lagging arms” shouldn’t even come into play in the novice stages of your training and should only be addressed later on once you’ve built a solid foundation and have fully maxed out your newbie gains. Is Direct Arm Training Even Necessary? To put it simply, yes, it is. Don’t me wrong here; I’m NOT saying that direct bicep and tricep exercises are unnecessary or that they don’t play a role in the process of building big arms. I definitely still recommended isolated bicep and tricep exercises performed 1-2 times per week for those wanting to maximize their arm growth, and I’m not implying that you should eliminate these movements from your routine by any means. All I’m pointing out here is that it’s important to keep things in perspective and to recognize that banging out endless sets of bicep curls and tricep extensions will be a misuse of your time and effort in most cases. Direct bicep and tricep training should be viewed more as a supplemental portion of the arm building process in order to fully optimize their development and squeeze out that extra 10-20% of growth that your chest/shoulder/back training doesn’t provide. I’ve written many posts about effective arm training that you can check out, covering topics such as effective exercise selection, workout structure, proper form and more. 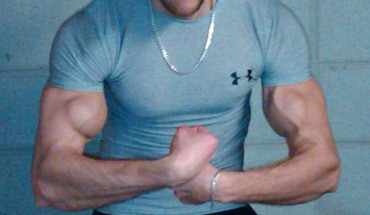 What If Your Arms ARE A Legitimate Weak Point? 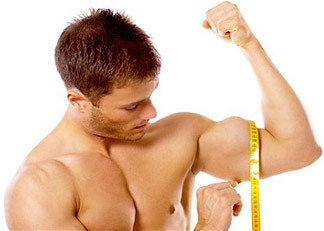 Everyone has certain muscles that are genetically weaker and stronger than others, and there are of course lifters out there who do have their biceps and triceps as a legitimate weak point. If you have a solid 1-2 years of consistent training under your belt, have added considerable mass and strength to your overall frame and still notice that your arms aren’t growing in proportion to everything else, THEN a specialized approach can make sense. This usually involves a cycle of training where you’ll implement higher-than-normal training frequency and volume specifically for your biceps and triceps in order to spark some new growth. – Hit your arms directly 3 times per week while reducing the volume on other muscle groups slightly to make room for the increased workload. 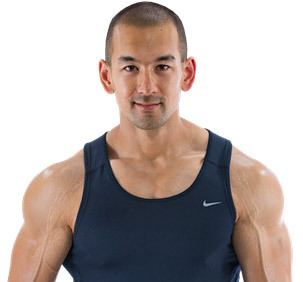 – Perform 2-3 exercises for biceps and 2-3 for triceps per workout, including a variety of different variations to stimulate your arms from every possible angle. 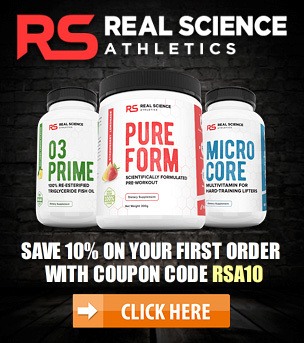 – Utilize a mixture of different rep ranges as well, implementing a heavier day (4-6 reps), moderate day (8-10 reps) and lighter day (12-15 reps). Again though, such an approach is ONLY recommended after you have considerable training experience under your belt and have built a strong foundation first. If you’re one of the many people out there asking the all-too-common “how to build bigger arms” question, chances are that you don’t even need to specifically worry about this topic at all for the time being. Just get yourself onto a properly structured, well-rounded program and focus on achieving progressive overload from week to week on all of your big upper compound lifts. As you add overall size and strength to your chest, shoulders and back over time, the majority of your arm gains will already be taken care of. Direct arm training is of course necessary and recommended for optimal gains, but it won’t play nearly as big a role as most people think and there’s no need to over-analyse or over-emphasize it until you’re well past the novice stage.